Update: pricing and user manuals can be found here. 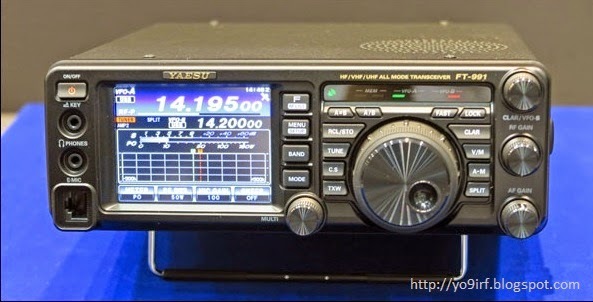 Yaesu FT-991 is the next upcoming model from Yaesu, as the replacement for the recently discontinued FT-897. Highlights include 3.5″ TFT touch display, a spectrum scope, 32-bit IF DSP, internal antenna tuner and C4FM. 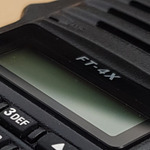 To be honest, the TFT display on the FT-991 looks super, expecially when comparing to the FT-897, so this is definetely a plus. The touchscreen is only useful on devices entertainment-oriented, so it will probably be between useless and annoying when it won’t work if you have wet or dirty hands, when wearing gloves or when you’re trying to press a button while looking somewhere else. The spectrum scope is useless on every transceiver i’ve seen it implemented because of the abysmal refresh rate and it will probably remain just a useless toy here as well; unless of course it has at least 25fps and work while the other functions aren’t affected (not like on previous generation where when spectrum scope is on the AUDIO IS OFF). 32-bit IF DSP: sounds fine, but here it really depends on how well it performs, so until I see it at work I can’t say anything. I still wish big manufacturers would realise this is decades old technology and make these fully SDR already but oh well, there are small manufacturers way ahead of the curve. 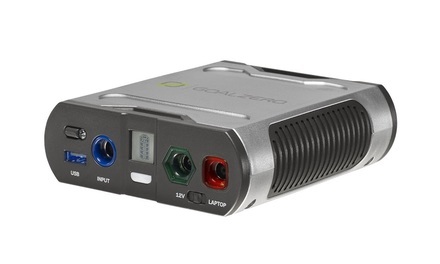 Internal tuner: this is a must on mobile/field day equipment, but only now a manufacturer gets it. 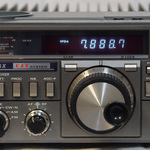 Actually, the Yaesu FT-450 also had a tuner or option for a tuner, as well as the Kenwood TS-480SAT, but those are a superior (bigger, heavier) class. 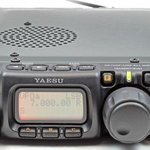 C4FM: plainly stupid attempt to implement commercial technology in ham radio equipment. Instead of working on the really outdated RF chain, they waste their time with this. Disappointed. It appears that there’s no internal space in the FT-991 for batteries like on the FT-897, good; in portable you’ll use external batteries anyway, in home or mobile use it’s just a waste of space. I really like the USB connection; just like the tuner, it’s not something special but something that’s normal to be there, like the steering wheel on a car, but still there are products without it. 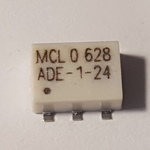 I REALLY HOPE THIS HAS LITTLE BROTHERS TO REPLACE THE FT-857 AND FT-817 ! (but without the C4FM). any word on the estimated price ? Are the buttons backlit? That was nice on the 450ND. (which I never thought of as a rig in a bigger, heavier class) I hope the scope will be close to realtime. The scope on my 7600 is, but I think it has it's own processor. And I agree, I've had my license for a decade and a half, and my first rig (FT-817) is still in production. Time for an update on that classic. Hope they release a low power version in Europe. Much more interested about phase noise (both TX and RX), as that was the biggest issue of its predecessors. Next, it would be nice if people start measuring its RX performance listening(measuring if you must be a horsepower addict) to MODULATED RF signals. Static benchmark performance on MDS proofs zilt. Try for yourself. 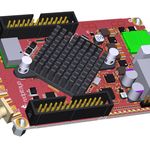 We can't know how the phase noise is until we see it on a testbed, but I wouldn't hope for alot: this is still aiming to be a do-it-all radio on a budget. I have owned the FT-897 and I still own the FT-817 so I know what you're talking about, but for the purpose they are still very good tools despite the modest reciever. The price should be a little over US$1000, but nothing official. 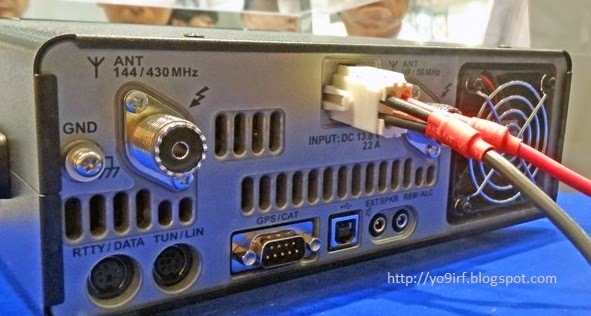 the VHF/UHF connector is actually N and not SO-239. very interesting, I would like to know the estimates of what will be the selling price, and if and when it will be in commercio.73 by Roberto IZ1JJB. 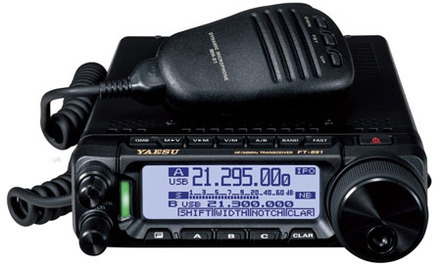 Just spoke with a Yaesu guy, and he stated that it is going to be between $1000-$1200. I hope this is accurate. I also hope that they give this a robust memory channel, like over 1000 memory channels, at least. That would be a fair price… Any word on the release date? Roger said: Hope they release a low power version in Europe. Yes I hope too as I know they have the regular one the FT-991, then FT-991M = 50 WATTS, AND THE FT-991S the QRP one 0-10 watts, Do you think they will release the QRP version worldwide ? I was really hoping this radio would come it at $1,200, but the $1,700 asking price is way out of my budget for this type of radio. I am sure it is a great radio, but I'll have to look elsewhere now. I waited several years for an FT-897D replacement, so this is quite disappointing. They also removed the 1200/9600 Baud Data Port! Very Disappointed. Will NOT be buying the FT-991, as it only has 99 memory channels. This is by far the thinnest memory storage I have seen. I was hoping to use this as my new All-in-one. Just a tip, if you are going to include 6m, 2m and 70cm, please add a robust channel memory system. There are thousands of repeaters across the country, and this is useless for repeater function. 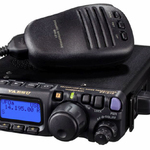 I was excited about this radio, but I will stick with the interest in the IC-7100. For those of us on a budget, I need to focus on buying ONE radio only to maximize my money. 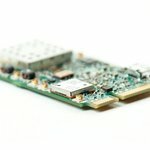 For technology the way it is, there really aren't any good excuses for leaving out a robust memory channel system, especially for FM repeater function. I sure it's a great HF rig, but, well, because I have to watch my pennies, icom here I come for your all-in-one that offers 2,200 memories. De acord ..să-l înlocuiască pe FT-897…dar pe FT-817ND..niciodată…HI…Nu va putea din cauza litrajului ..în primul rînd..!